Reality by Rach : New Villain, New Star Trek Sequel Trailer! New Villain, New Star Trek Sequel Trailer! 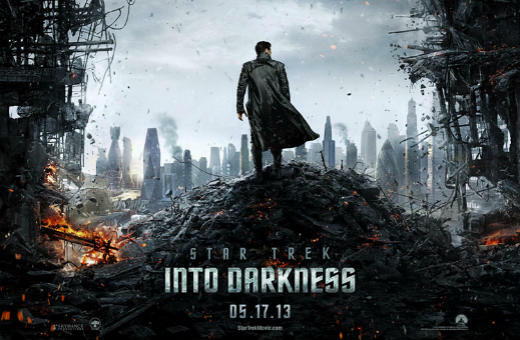 Hey, remember that really great remake of Star Trek a few years ago? Oh, you know.. the one with Thor (Chris Hemsworth) and this hot new guy...let's call him Chris Pine? And this up and coming actress, let's call her Zoe Saldana. Remember its highly talked about and anticipated sequel?? Well, IT'S FINALLY HERE! And it looks awesome! The film, being helmed by Benedict Cumberbatch, of BBC's Sherlock fame, who plays the villain Khan really seems to echo it's title Star Trek: INto Darkness. Just from the few snippets we see the movie already seems heavier and consisting of a much darker tone than it's light hearted action packed predecessor. 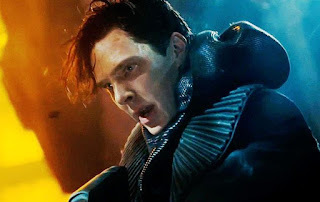 Opening with a eery voice over from Khan truly gives this Star Trek film a whole new undertone and feels almost like the role of Bane in The Knight Rises. Although the films may differ in tone one thing they certainly do share is action; and much the the first one this seems to be packed with as much excitement as the first!